Excuse me while I get something off my chest. Someone recently told me that someone told them that someone who used to go to Denbigh told them that they left the church family here "because Tuck doesn't believe in baptism for the remission of sins." I know— I should probably track down whoever said that and get all this straight privately rather than in public on my blog. But I as you can tell, the documentation here is a bit shaky and I don’t want to spend the hours of private-eye time trying to tack all of this down. And besides, I’m not sure that the readership of my blog really qualifies as “public” anyway! So let me get this off my chest. The New Testament presents baptism as the response of faith in the accepting God’s grace in salvation. Peter offers a baptism “for the remission of sins” to believers on Pentecost (Acts 2:38). And we offer believers today the same response of faith. 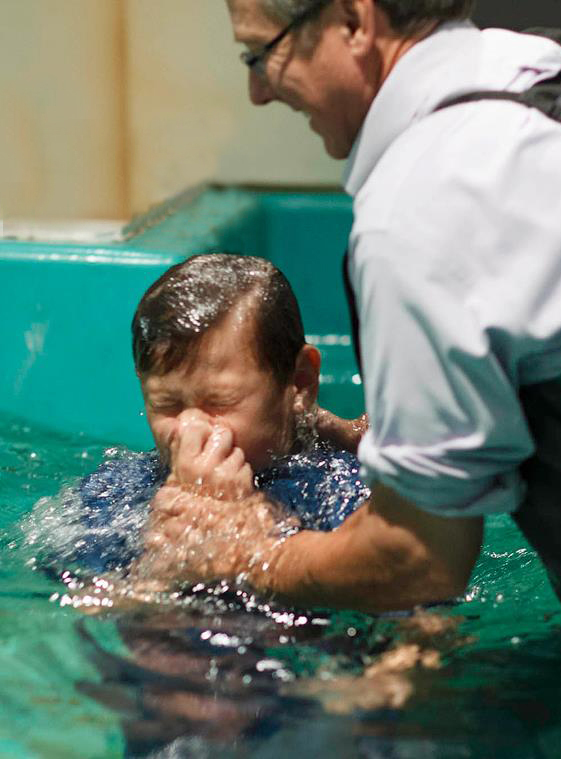 If you have never been baptized based upon your faith in Christ, then we offer that to you. I think we are on firm Biblical ground when we offer it. There is a version of that blog that is posted on the “What We Believe” page of our church web site. 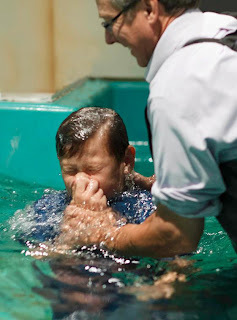 There are a dozen or so entries on my blog on the subject of baptism. I have preached sermon series on baptism and taught 13-week class series on baptism. Every sermon that I preach ends with an invitation to people to meet Jesus at the cross in faith, repentance and baptism. (Recently I had a conversation with someone who thought my formal invitations were unnecessary and passe ... which they are if I don't really believe in baptism for the remission of sins. The point here is that I sure seem to spend a lot of time talking about something that I supposedly don’t believe in! Please don’t tell people that I don’t believe in baptism for the remission of sins. I do. Now, you may feel free to tell people that I don’t believe Baptists are going to hell because their baptismal theology is out of whack. You may tell people that I believe that God can save people through baptism who don't fully understand how He works in baptism. You can tell people that I believe that God saves people through what Jesus did on the cross and not what we do in our precise theological and liturgical formulations. But please don't tell people that I don;t believe in something that I do so obviously believe in. Thank you. I feel better now!